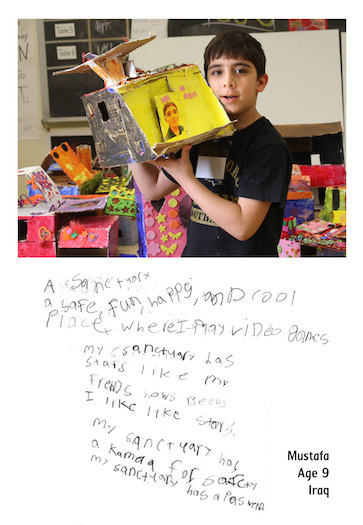 Our art room was often boisterous, a frenzy of cardboard and glue and glitter and bright-colored paint. 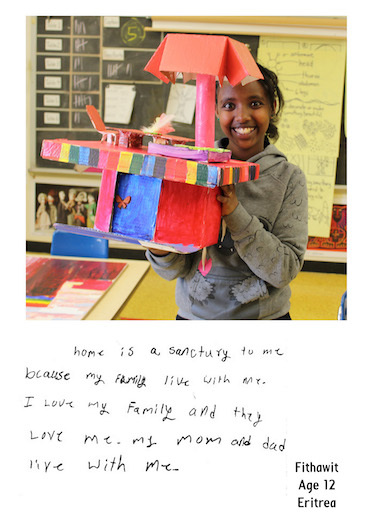 Neither the kids’ artwork nor their behavior reflected the trauma that they had endured. They were generally happy. Gradually, they opened up and started telling me about their experiences prior to coming to Baltimore —things they missed about their home countries and cultures, as well as violence they had witnessed, separation from family members, and the grim circumstances of living in refugee camps. 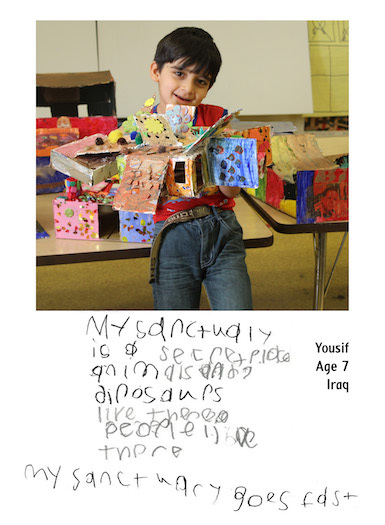 They began to contextualize past experiences as “not sanctuaries.” Mustafa, one of the Iraqi boys, told me about men with big guns who entered his home, and about kids without parents being forced to work and fight. Those people needed sanctuaries, too, we agreed.